This is a reminder for all of our friends that we have the opportunity to work with. 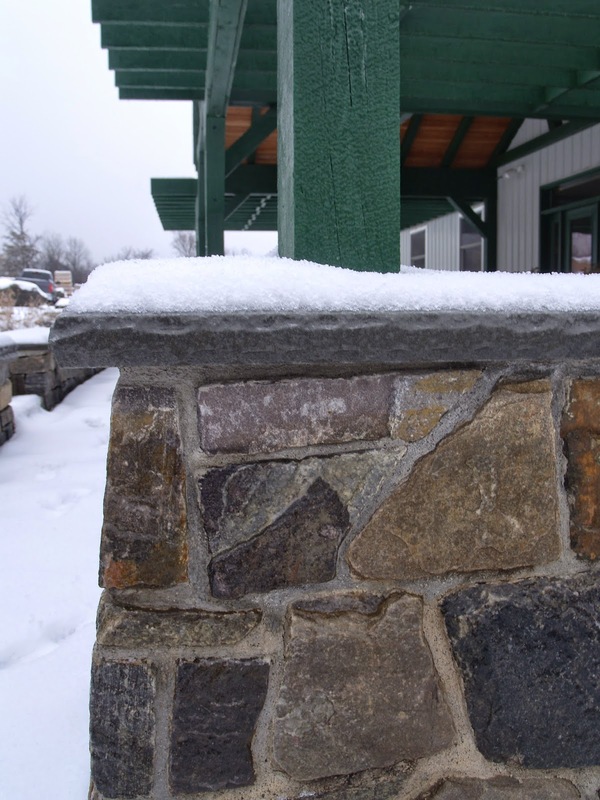 Adirondack Natural Stone will be closing today December 24th at noon. We will be opening the doors again on Monday morning January 5th, 2015 at 7:30. We wish you all a wonderful and happy time together with you and your families during this holiday season. Thank you for your patronage~ we appreciate it. May 2015 be a healthy and prosperous year for all. It is with mixed emotions that we say good-bye today to the majority of our workforce. We are happy that they get to go back home to their loved ones and families but we will miss them until we see them again next Spring. Until then~ good health, happiness and safe travels. Thank you for all that you do. 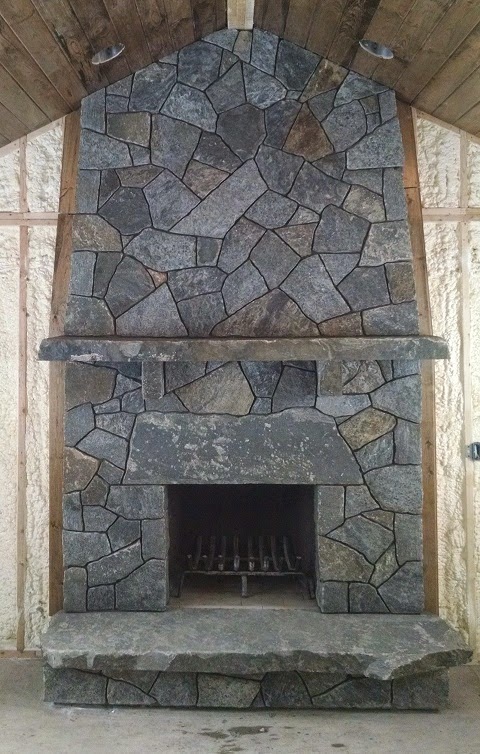 Winter is creeping in........get your stone orders in soon to avoid delays. 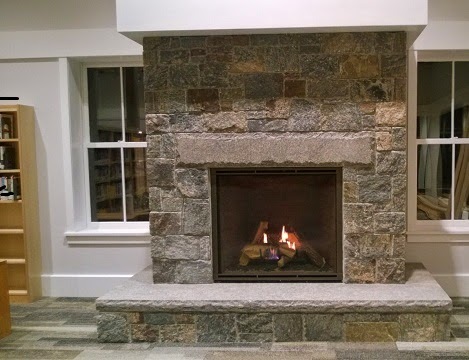 The library in Manchester, VT has a beautiful new fireplace made with our Hawthorne Granite. It surely does look inviting.